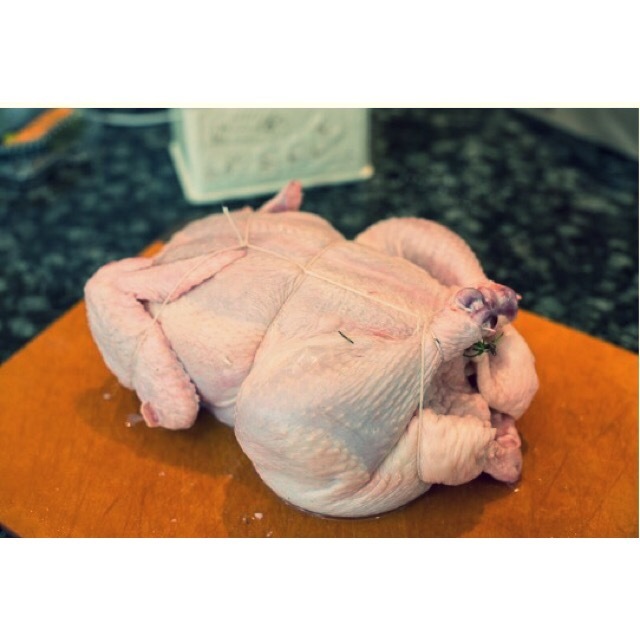 Generally, a whole chicken will contain a giblet package that needs to be removed from its cavity so check the cavity of the chicken at the tail end to see if the kidneys have been removed. The kidneys are the dark reddish colored objects located on the back side of the cavity near the tail. If they have not been removed, use your thumbs or fingers to force them out. Pat the chicken dry using a paper towel. It is now ready to be seasoned and marinated. It is a good idea, especially if you want to spit roast it, to truss the bird to keep the legs and wings in place. 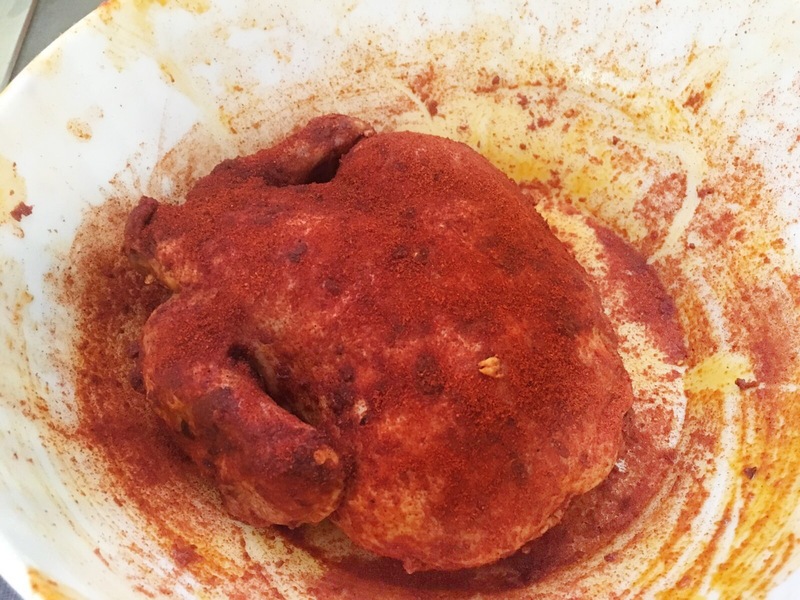 Then season the bird by rubbing salt, sweet and smoked paprika and chilli into the skin of the bird and drizzling all over it. 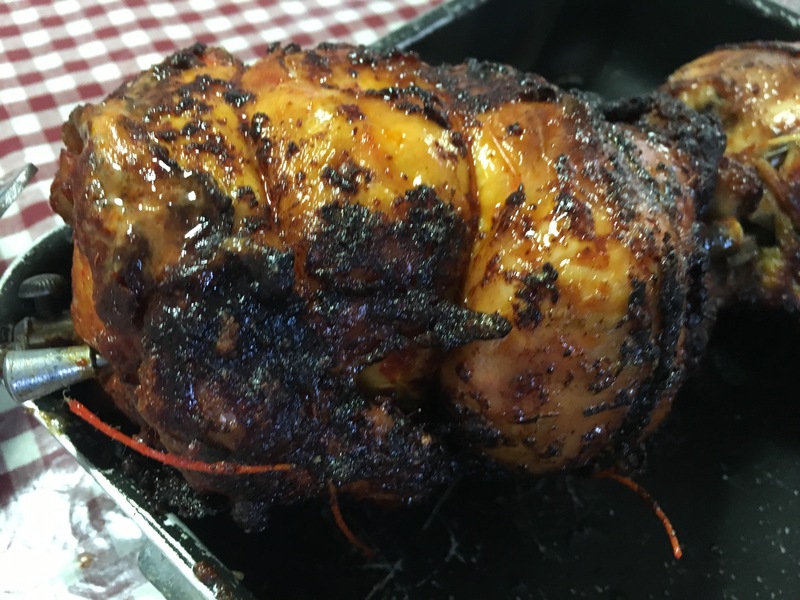 Keep the chicken for two days in the fridge and after that leave the chicken in a room temperature for two hours. Now is ready to be roasted. 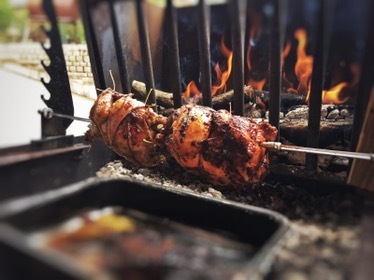 Prepare a low charcoal fire, one or two hours before, let the chicken roast until it is golden brown all over. The internal temperature should reach around 70 C/160 F.
Roasting should take about 45 minutes to an hour, depending on the size of your bird.